I headed to the JE voiceover booth in San Francisco today to record some ADR with Wylie Herman and Liz Anderson for Wylie’s WWII Sci-fi film “The Toll.” Wylie wrote, produced, and starred opposite me in the film, and Liz was our fearless director. Every time I’m in the company of these two, I am in awe. Their passion, work ethic, and talent is contagious — and the closer we get to sharing “The Toll” in the film festival circuit, the more giddy I get. We shot it last October and we’re getting closer and closer to completing all the post-production work. For a sneak peek, check out the promo video below. 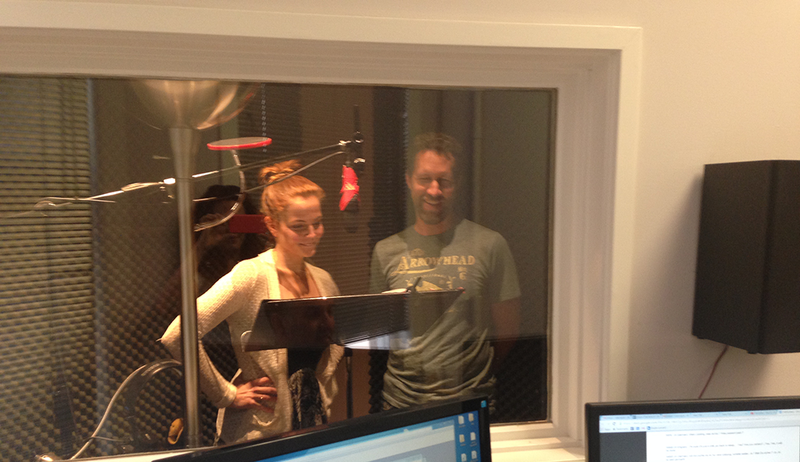 Big thanks to Cal Grant for directing our ADR session!